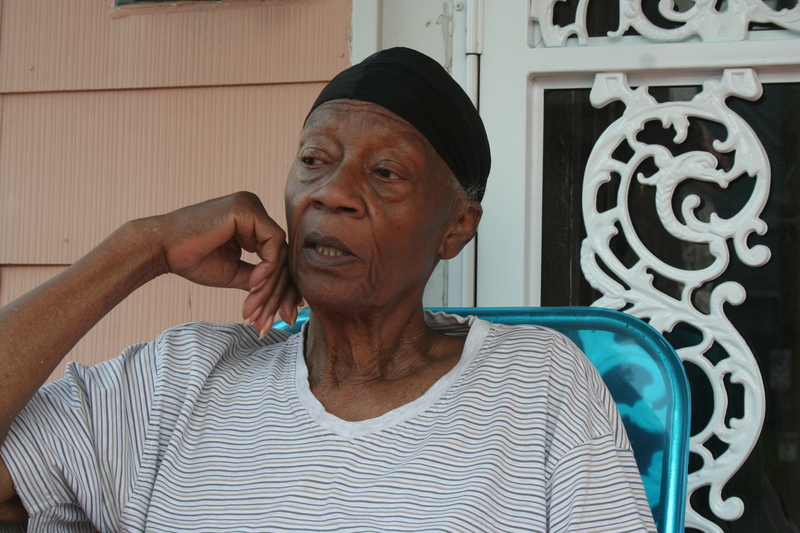 Norma Wheeler sits on the front port of her home in Williamsburg Heights. Wheeler raised all of her children in the house, located on a one-way strip of 2nd Street, where she’s lived for more than 50 years. “I’ve been livin’ in Milwaukee all of my adult life. I raised all of my kids here, in this particular house, and I get along with my neighbors pretty good,” she says. “I made it for a while and I, eventually, left,” she says. As he got worse, he needed around-the-clock care so Norma quit her job to care for him. “It was hard,” she says. Did you find value in Norma’s story? If so, please subscribe to our newsletter; we publish the story of a different Milwaukeean every week.